Brazil's national drink -- the caipirinha -- is based on cachaça. 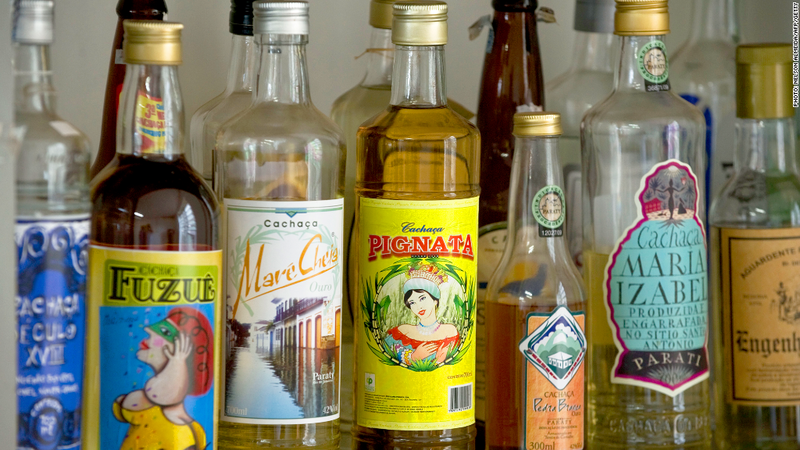 Bartenders often use rum instead of cachaça when serving the cocktail outside its native country, but Euromonitor's Malandrakis says the time is ripe for the sugarcane spirit to make its global leap. The drink is his pick of the exotic offerings likely to make a big impression offshore, for two key reasons. First is a growing sophistication in drinking culture and a desire for authenticity. Consumers are keen on premium brands and willing to pay more for niche products. And the timing couldn't be better for Brazil: millions will be exposed to cachaça when they visit for the 2014 FIFA World Cup and the Olympic Games two years later. Outside players have seized on the liquor's potential. British drinks group Diageo (DEO), maker of Johnnie Walker scotch and Smirnoff vodka, shelled out about $450 million last year for Brazil's leading high-end cachaça brand Ypioca.